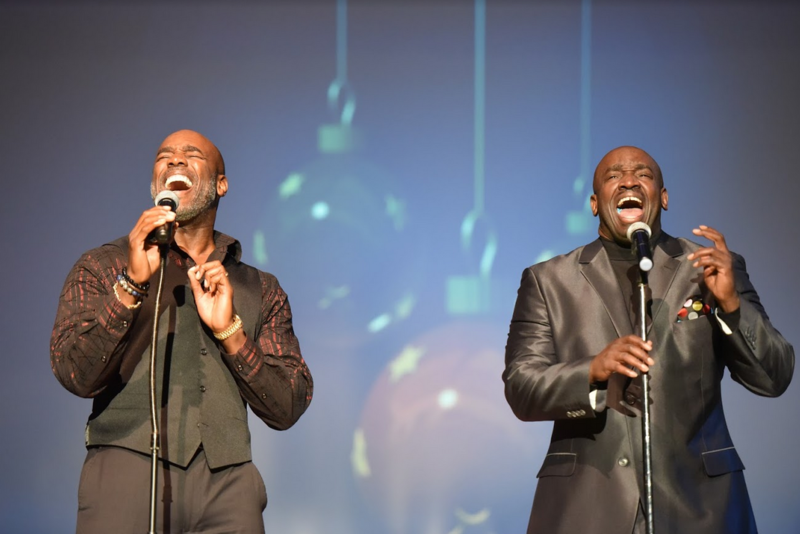 On Saturday, December 9, the Mount Vernon City School District and several special guests entertained a full house at Mount Vernon High School. Despite taking place during the season’s first snowfall, the community brushed off fluffy flakes and came together to participate in one of the season’s increasingly popular events. As in years past, Dwayne Brown, American Christmas, and school district personnel created a beautiful, warm and welcoming atmosphere. Holiday cheer was plentiful, and guests contributed canned goods and toys for the city’s many homeless families. Sweet treats were served, and excited children, and even a few adults, took pictures with Santa. The program itself was a nice blend of old and new. 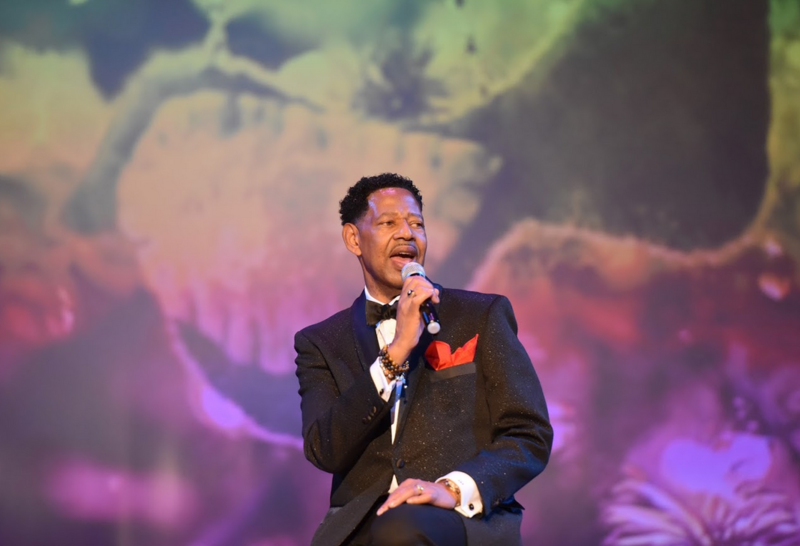 As usual, Superintendent Dr. Kenneth Hamilton was a charming host, emcee, and smooth crooner, a special invited guest read aloud “A Visit from St. Nicholas”, and the Jenkins Brothers harmonized and showed-off their soul-stirring vocal virtuosity. 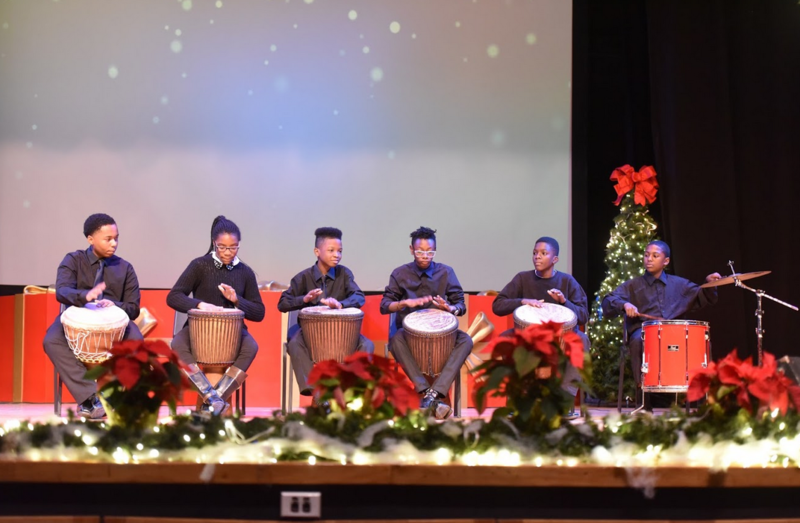 Holiday concert firsts included performances by the newly formed Mount Vernon All City Orchestra, All City Chorus, and the Arts Magnet Drummers. In addition, Valerie Adams and the Dimensions Band performed. 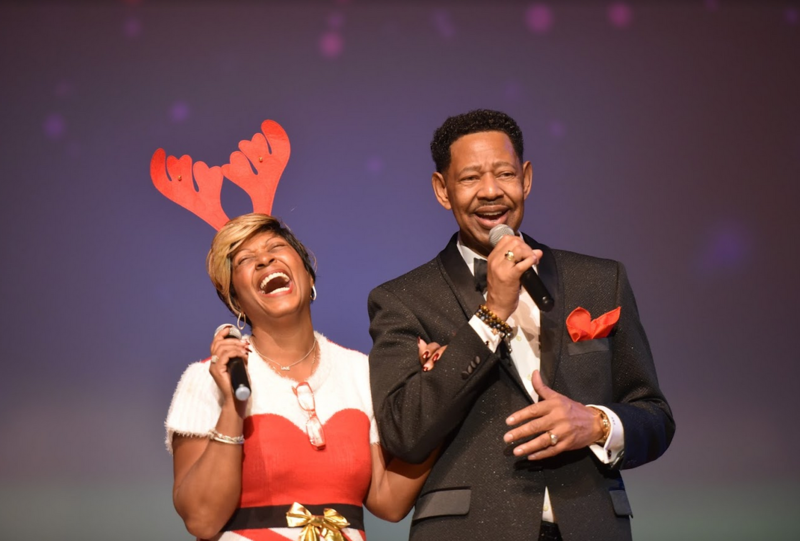 Wendy Williams was definitely herself as she brought humor to her reading of ”A Visit from St. Nicholas”, and Valerie Adams’ up-tempo renditions of several holiday classics breathed new life into them. When Evelyn Collins, Director of Arts and Gifted and Talented Education, announced the formation of the new All City Orchestra and All City Chorus, as well as the Arts Magnet Drummers, she was clearly excited about these new opportunities for young people to develop and showcase their talents. 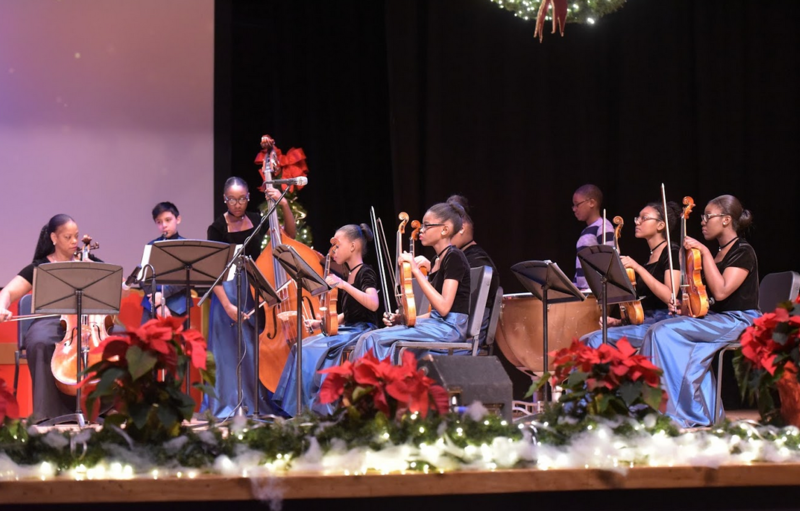 Although all three groups were only formed recently, the youth exhibited great poise and professionalism during their performances. In fact, the audience was admonished to remember its manners and not shout out individual performers’ names. Ms. Collins also proudly announced that the school district had received a grant from Disney, and students will be performing the Lion King, Jr. on January 26, 27 & 28. 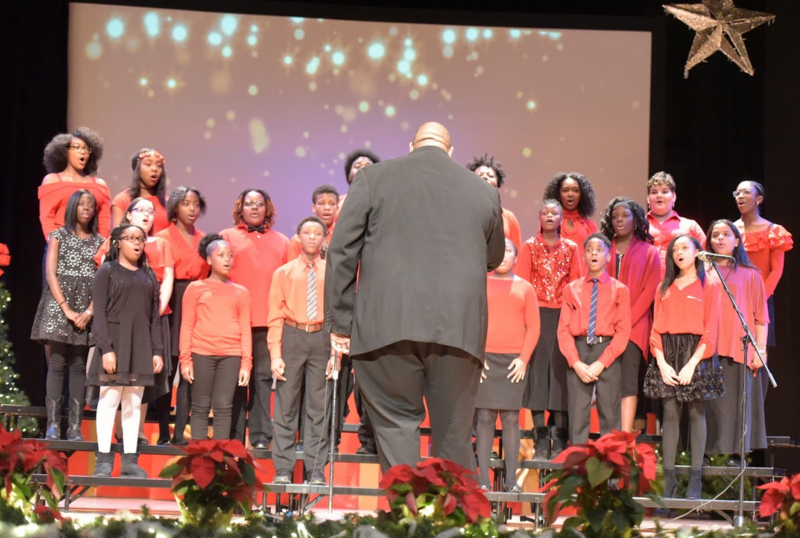 The holiday concert concluded with a group singing of “Joy to the World,” and this year’s “Most Wonderful Time” holiday concert was just that; a most wonderful time.